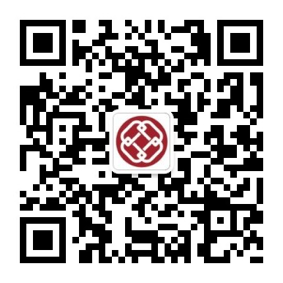 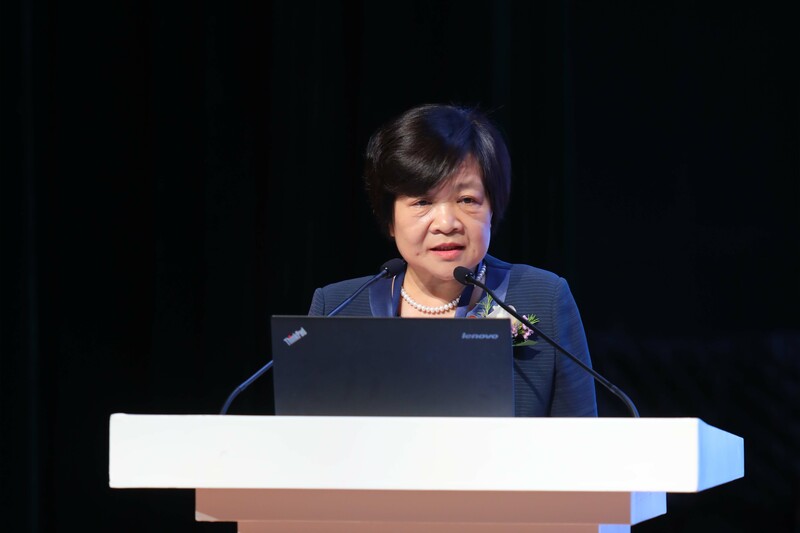 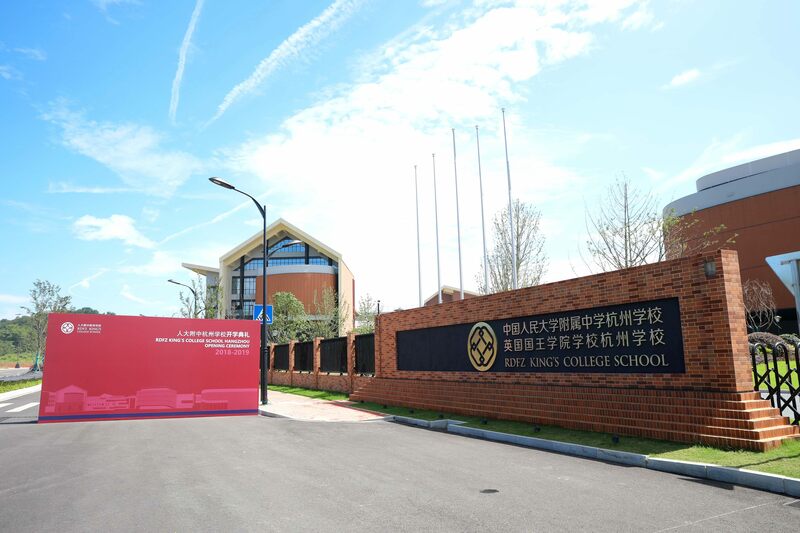 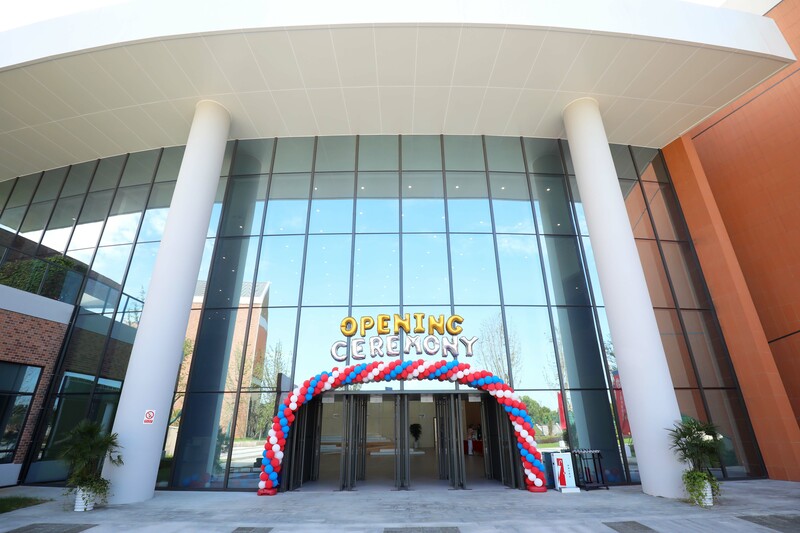 RDFZ King’s College School Hangzhou held its opening ceremony on Sept. 18 at its campus in the Yuhang district of Hangzhou. 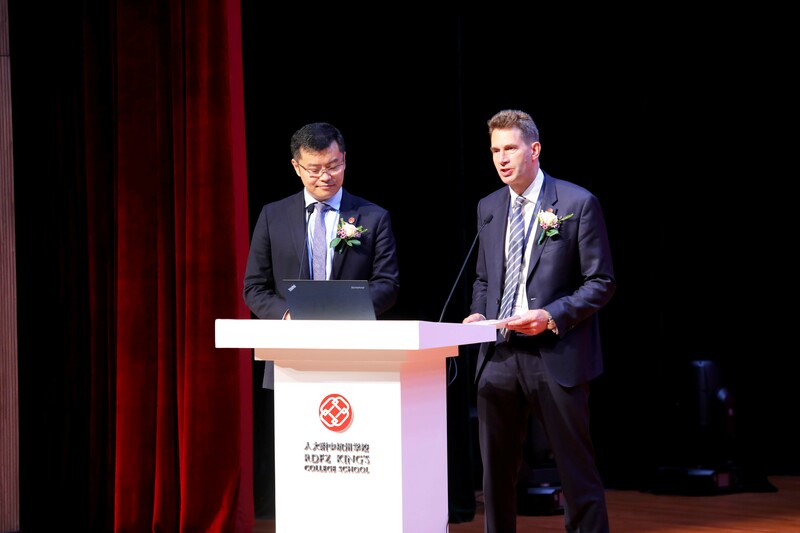 Bruce Thompson, executive principal of the school, welcomed students and guests on behalf of the school and introduced the school’s concept, characteristics and vision. 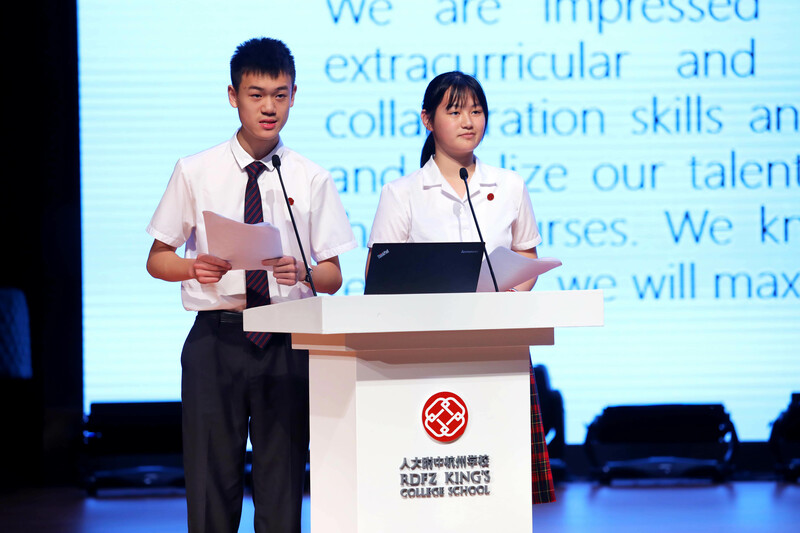 Two student representatives, Yiteng Xu and Jiayi He, gave a speech in both Chinese and English, calling RDFZ King’s College School Hangzhou their “ideal school”. 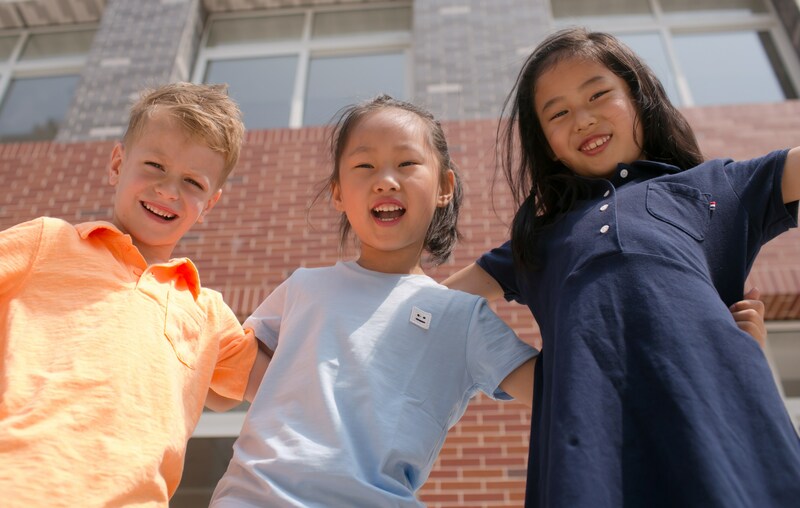 They thanked the school for the excellent resources provided to each student and said they were proud to be among the first students admitted. 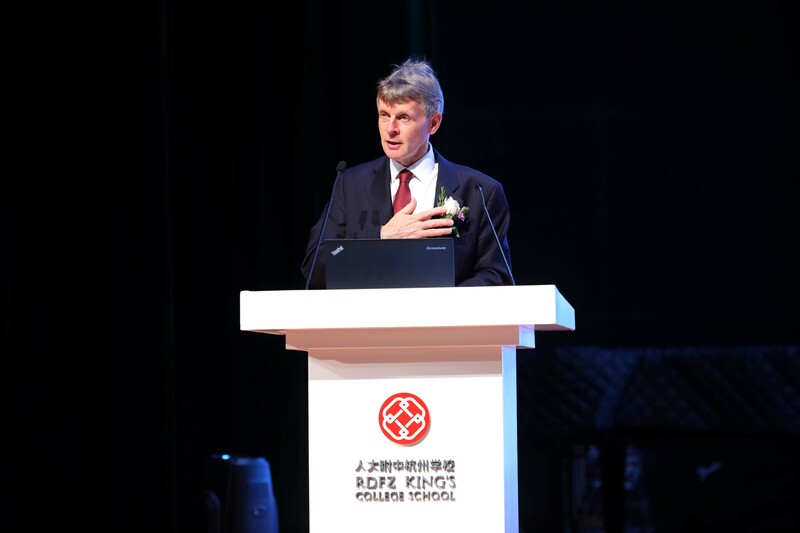 Andrew Halls, Headmaster at King’s College School in the UK, traveled specially to China to attend the opening ceremonies. 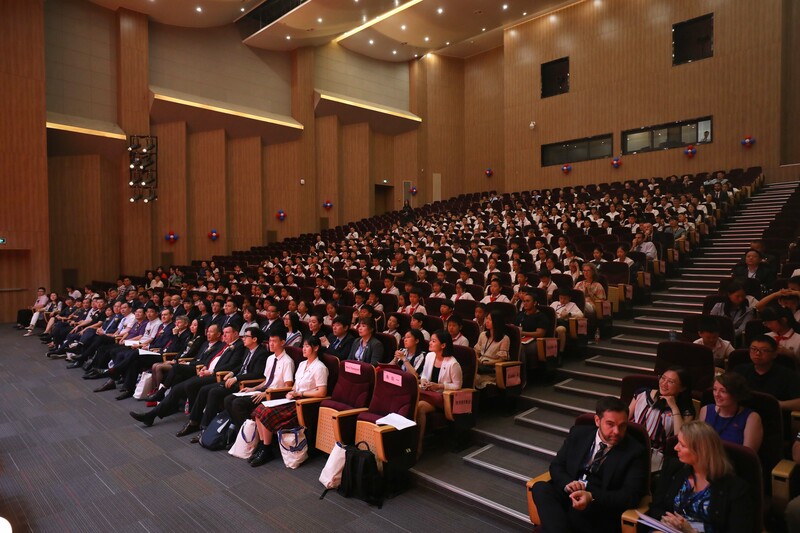 In his speech, he spoke of his confidence and hope in the future development of the schools, adding that King’s 200-year history and special characteristics were incorporated in the schools’ curricula. 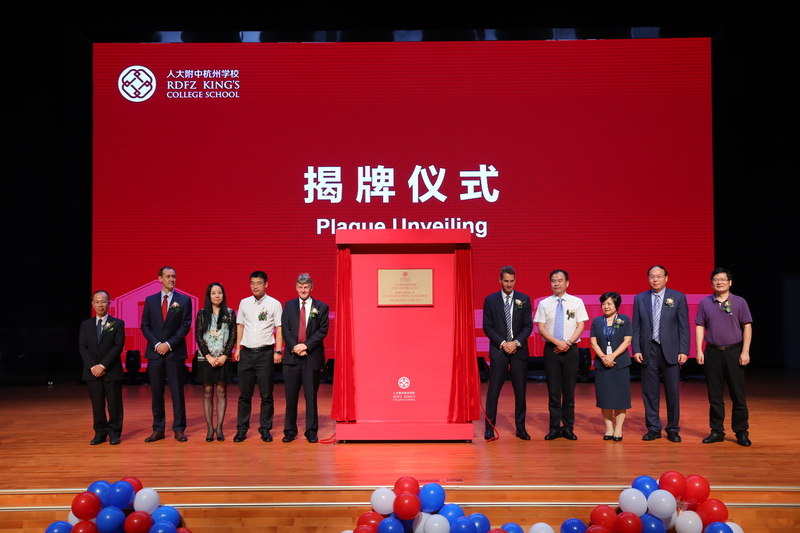 Other speakers at the ceremony included Lianming Yang, Deputy Principal at RDFZ United Schools, Tony Clemson, Deputy Consul General in Shanghai, and Jianhua Zhou, Deputy District Head, Yuhang District Government, who all spoke highly of the school’s establishment (pictured above, left to right).The event came to a close with the unveiling of a ceremonial plague.